OCIMF Offshore Marine HoseWe specialize in the manufacturing and supply of marine and oil hoses with single and double carcass designs for floating hoses and submarine hoses. 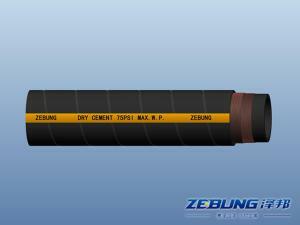 Dredge HoseHoses can be supplied in bore diameters from 150mm(6") up to 900mm(36"), or larger upon request. 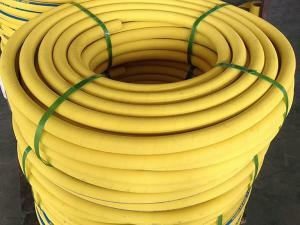 Air / Water HoseThe inner layer of the air/water hose is constructed from SBR compound synthetic rubber and features a textile cord with a helical steel wire reinforcement layer. Diesel / Fuel / Oil / Hydraulic HoseThe SAE 100R3 hydraulic hose is engineered for light weight oil suction and discharging as part of a hydraulic system. 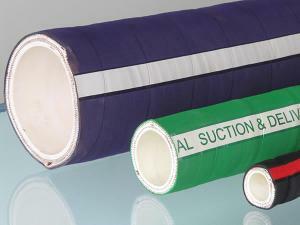 These petroleum hoses can also be used for the transportation of oil based materials with a maximum 20% aromatic content. Material Handling HoseOur material handling hoses are designed for both wet and dry material transportation applications. 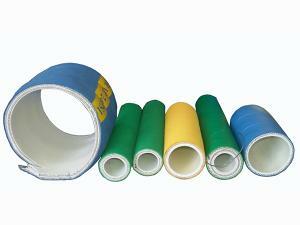 The abrasion resistance on the tube's interior and the outer cover make these rubber hoses highly versatile. 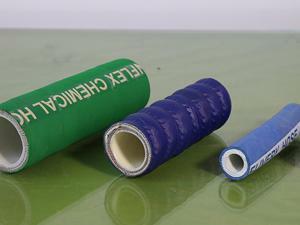 Chemical Transfer HoseThese hoses are suitable for tank trucks, barges, ships or storage tank transfer for a variety of chemical materials. 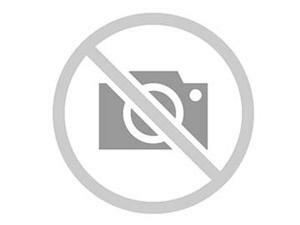 The cover protects the body from stiffening and cracking caused by ozone and UV exposure. 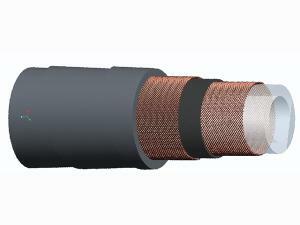 Food Grade HoseOur food hoses feature a nearly unlimited amount of suitable applications. All of our food handling equipment is resistant to fats, oils and other food items that may be corrosive to certain materials. 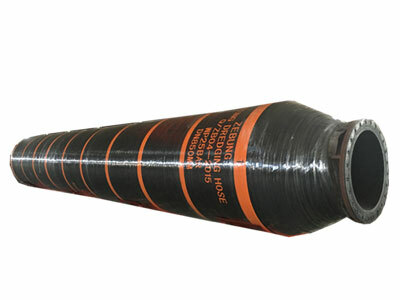 LPG / LNG Rubber HoseOur LPG/ LNG rubber hoses are suitable for use with liquefied petroleum gas and liquefied natural gases. 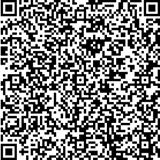 Cover: CR, electrically conductive, abrasion resistant, oil and weather resistant, cloth impression.